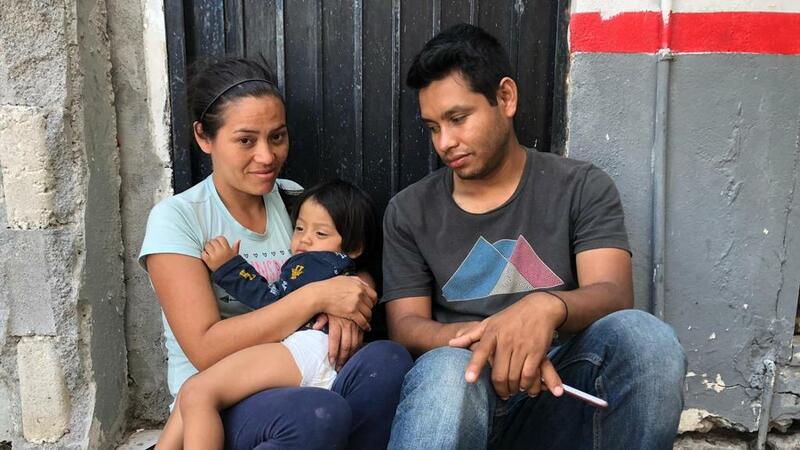 MATAMOROS, Mexico (Univision News) – William Gonzalez, Meylin Rugama and their two-year-old son William, have spent weeks living in a makeshift camp at one end of the international bridge in Matamoros. 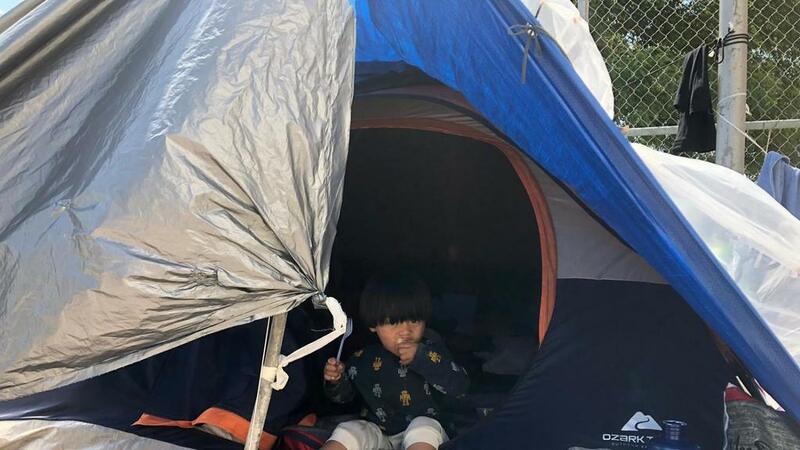 After they ran out of their allotted time in one of the city’s shelters, the young Nicaraguan family had no choice but to move to a tent where they now spend their days surrounded by dozens of migrants awaiting their turn to cross to the border to request asylum. For the doctors who treated him, the fact little William is even alive is something of a miracle. 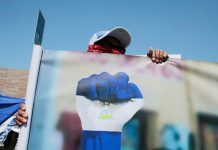 Last May, amid the crackdown on anti-government protests in Nicaragua, a stray bullet pierced his jaw and lodged in his windpipe. His parents decided to flee with him for fear of reprisals after accusing Ortega’s police of firing the bullet. Besides being separated from their other children who stayed back in Nicaragua, the toughest thing for them is the extreme temperatures of this part of the border: long days of blazing sun followed by sharp temperature drops or sudden rains that flooded their tent two weeks ago in the middle of the night. “William was on a mat floating in the water. Fortunately, he didn’t wake up. Rugama took him to a safer place. It’s hard to be here,” said González, sitting a few feet from the Rio Grande. he was hit by in the throat by a stray bullet that came through the wall of his grandmother’s house in Matagalpa during the crackdown on anti-government protests in Nicaragua. 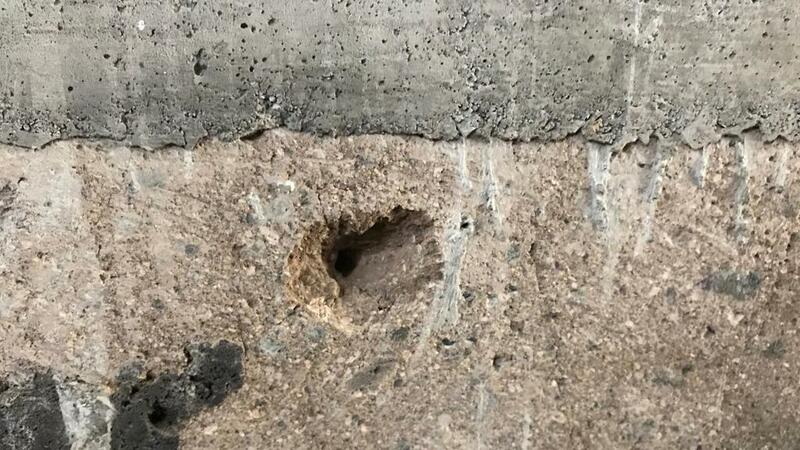 In addition to his delicate recovery, his parents say they were subjected to political persecution after they accused the police of firing the bullet. 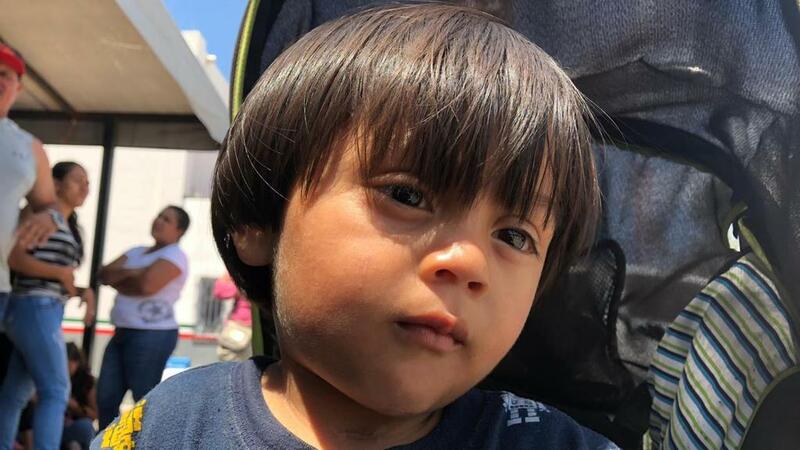 Fear of retaliation forced the parents to make a difficult decision: leave a large part of their family and flee to the United States with their youngest child to ask for asylum. “We decided to leave the country nine months after (the attack) because we could never return to our house which was surrounded by (pro-government) paramilitaries. 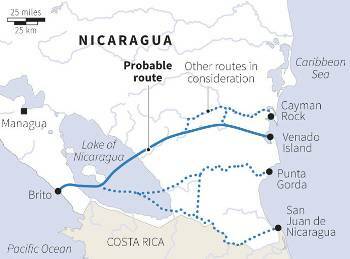 We had to leave Nicaragua because our lives were in danger,” said González. William was struck in the throat by a stray bullet that went through the wall of his grandmother’s home in Matagalpa, Nicaragua last year during a police crackdown against government opponents. Photo: Lorena Arroyo. And although William survived the bullet that hit his chin and lodged in his throat, he still has after-effects, such as trouble breathing when he gets sick and, according to doctors, he may have a long-term speech impediment. In addition, after months of medical treatment, William is no longer the same happy child he was before the accident. According to his parents, the bullet left him in shock and now it is common to find him staring blankly and he no longer smiles as he did before, even when playing with his favorite toy cars he received as donations on his way to the United States. Migrating is nothing new to his parents. In fact, when little William got injured in May last year, the couple was in Costa Rica, where they had gone to work two months earlier to help the family. As soon as they heard what happened to their son, who had been left in the care of his maternal grandmother, they found a way to return home and found themselves victims twice over: on the one hand, the doctors offered little hope that the child would survive and, on the other, the police wanted their silence at all cost. The problems began when William’s grandmother and aunt spoke openly to the media blasting the police for firing on their home. The family also tried to gather evidence to show that the bullet had been shot by an AK-47 assault rifle used by police and paramilitary groups aligned with the government of Daniel Ortega. “We were threatened by the national police which came to the pediatric intensive-care unit where the child was. Relatives of patients prevented their entry,” said González. When William was injured, barely a month had passed since the beginning of unprecedented protests against the Ortega government over his decade of authoritarian rule. Around the time William was shot, Ortega had agreed to negotiations with student leaders and civic organizations. 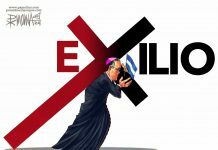 But, while in Managua an ultimately failed national dialogue was being held, in Matagalpa, in the north of the country, there was a pitched battle. The government crackdown left two dead and the police stormed various neighborhoods to root out opponents, including the barrio where William’s grandmother lives. Ortega himself referred to the attack on the baby during the negotiations, although he mistakenly said it was a young girl who had been hit in the neck by a bullet. He blamed the “senseless violence” without specifying who had fired the bullet. The case of little William shocked Nicaragua and the family received offers of donations and help with housing when they had to move to Managua for William’s medical treatment. But when González denounced what happened before the Inter-American Commission on Human Rights (IACHR), the couple says the threats from supporters of Ortega’s Sandinista government multiplied. “They left him practically abandoned in the [hospital] because they had no record of the medications my son was being given, there were no X-rays, no screenings. The doctors asked where the doctor who brought the baby was, but that doctor disappeared,” said Rugama. In November, when they felt that William had recovered enough, his parents considered returning to Matagalpa. But their neighborhood is an Ortega stronghold and they no longer felt safe. On January 18, Gonzalez and Rugama made the decision to leave, joining a friend who was headed north, to the United States. After crossing Honduras, Guatemala and Mexico on foot and by bus, they arrived in Matamoros in February. With barely any money, they are now surviving at the migrant camp thanks to food and clothing donations from Team Brownsville, a U.S.-based non-profit group, while they wait for their names to be called from a list compiled by Mexican immigration authorities to process asylum seekers. According to Juan Sierra, who heads Casa del Migrante in Matamoros, there are approximately 600 people waiting for asylum on the bridge where William’s family is patiently waiting. “We fled harm in Nicaragua and all we want is to live peacefully, and in the future bring our children – if we get asylum,” said González. Read the original article by Lorena Arroyo and Esther Poveda at Univision News here.